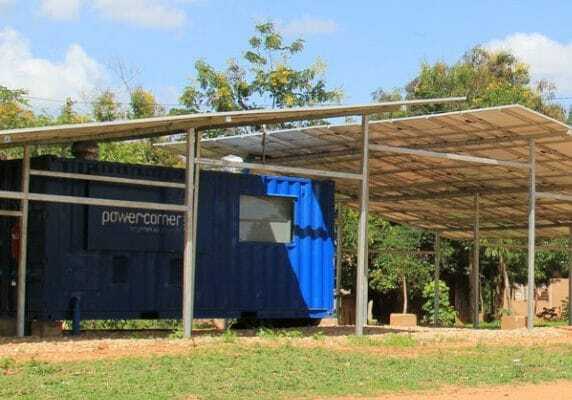 On April 3, 2019, the French company Engie inaugurated a mini-grid in Chitandika, a Zambian town. The Power Corner infrastructure will provide electricity to the village's 378 households. It is the first mini-network to be created in Chitandika, a village in northeastern Zambia. The power corner was inaugurated on April 3, 2019 by the French company Engie. The ceremony was attended by Zambia’s Minister of Energy, Matthew Nkhuwa, Engie’s management and some local stakeholders. The Power Corner was designed and commissioned by an internal Engie Africa spin-off. For its installation, photovoltaic panels with a total power of 28 kW were installed on the roof of the technical building and on two shades. In addition to this set are 16 kW batteries. Engie’s Power Corner will provide electricity to residents, businesses, the health centre and the two schools in the community. Until now, the people of Chitandika have been without electricity. Since its commissioning last March, the mini-grid has supplied 110 connection points with electricity. The new Power Corner will be accessible via a prepaid system. The French company Engie has addressed the rural electrification market in Africa through mini grids. In 2016, it implemented the very first Power Corner mini-grid in Tanzania, in the locality of Ketumbeine (not far from Arusha). This mini-grid has a power of 16 kWp. Today, Engie has 13 mini-grids that are either in operation or under construction in Tanzania and Zambia. By 2025, the company plans to supply 2.5 million Africans with electricity by developing 2,000 mini-grids. In Zambia, Engie, under the Engie Fenix label, has already marketed the Solar Home System solution to 70,000 customers. Since 2017, this mechanism has provided electricity to at least 350,000 people. Better still, in an unprecedented awareness-raising campaign at the highest internal level, Isabelle Kocher, the Group’s Chief Executive Officer, took her Executive Committee (Comex) on board to attend the inauguration of the Power Corner in Zambia. It is also a way of illustrating the new strategy of the French energy giant, which is now focusing its development on Asia and… Africa.